When contacted, RJD spokesperson Bhai Birendra said: “I can assure that nothing is wrong. All is well. This is not a political comment.” He refused to comment on the Hastinapur tweet. Former Bihar health minister and RJD leader Tej Pratap Yadav on Saturday tweeted that he wanted to “hand over” the reins of Hastinapur to “Arjun” (former Bihar Deputy CM and his brother Tejashwi Yadav) and head for Dwarka. The remark sparked speculation on a rift between the brothers. Hours later, he tweeted again asking “sanghis” not to spread rumours and that Tejashwi was “his kaleje ka tukda (closest to one’s heart)”, and that he would not allow a rift between himself and his brother. He also hinted that there were some “anti-social elements” in the party who needed to be identified. Around noon, Tej Pratap said, “Mera sochna hai ki main Arjun ko Hastinapur ki gaddi par baithaoon aur khud Dwarka chala jaaoon… ab kuchhek ‘chuglon’ ko kasht hai ki kahin main king maker n kahlaaoon (I think I should hand over the throne of Hastinapur to Arjun and leave for Dwarka… a few are pained that I may be called a ‘king-maker’)”. Around 5 pm, he again tweeted saying there was huge responsibility of getting a government of the RJD and allies in 2019, “but we have to be careful about those ‘anti-social’ elements, who want to break that unity”. 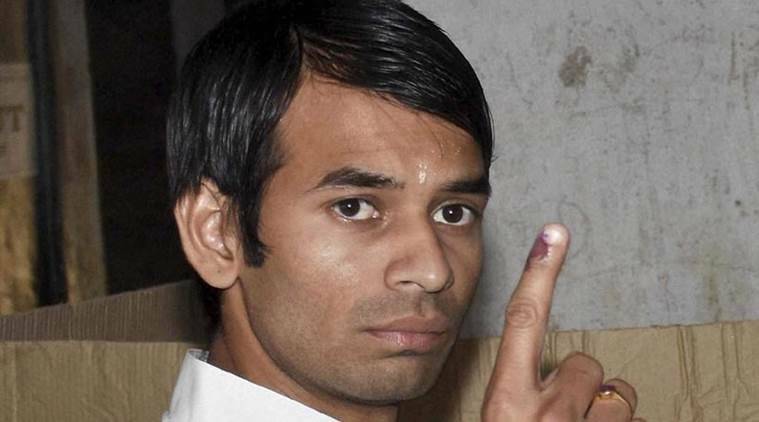 In the accompanying sound bite to the channel, Tej Pratap said: “Tejashwi is closest to my heart… there is no such thing… anti-social elements are bent on getting brothers to fight with each other and break the party and Lalu Yadav… but I am not going to allow their dream to come true.” He added that such elements should be identified.